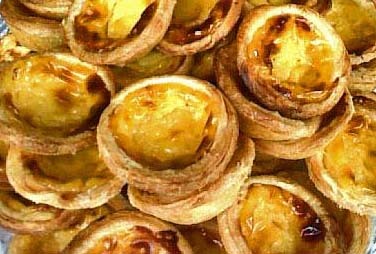 Pasteis de Nata – eat your heart out Proust, your madeleine is left in the shade by a little custard tart! For Proust it was the madeleine which brought back delicious childhood memories of Sunday mornings spent with an aunt. For me the pastel de nata does the same but better. Pasteis de nata are little cups of puff pastry filled with egg custard and baked till the top is slightly burnt. If you're lucky they will be served with a cinnamon shaker so you can drench them in aromatic ground cinnamon. Oooh! Mmmmmm! To read about my remembrance of pasteis past, click here. For years I called these little tarts 'pasteis de Belem' because as a student in Lisbon my friends and I would take the tram to the western edge of the city, where there is a suburb called Belem, the Portuguese for Bethlehem. There, almost in the shadow of the fabulous Jerόnimos Monastery - more about the extraordinary columns covered in carvings in the distinctive Manueline style another time – there was a bakery which had made pasteis de nata for more than a century. In fact it claims to have been making them since 1837, which must mean the production over the years of millions of custard tarts. We would drench them in cinnamon and go and sit by the River Tejo to eat them. I hardly know whether it was the tarts or the cinnamon that I loved most – or maybe it was just the romance of hot, lazy Sundays, cobalt skies, brilliant sunshine glittering in the water from the fountains and the wind off the river cooling our faces. All the same, it's worth remembering that in 1960s Britain we were still hardly using herbs and spices. Cooking was influenced by our islands' physical isolation and the not-so-long-past austerity of the war years. Cinnamon might have been used a little in cakes and mincemeat at Christmas but for the rest of the year what I remember is over-cooked vegetables and Victoria sponge. I don't think I was then alone in not really knowing what cinnamon was. The other place you could always count on finding cinnamon in Portugal was on arroz doce, sweet rice pudding. 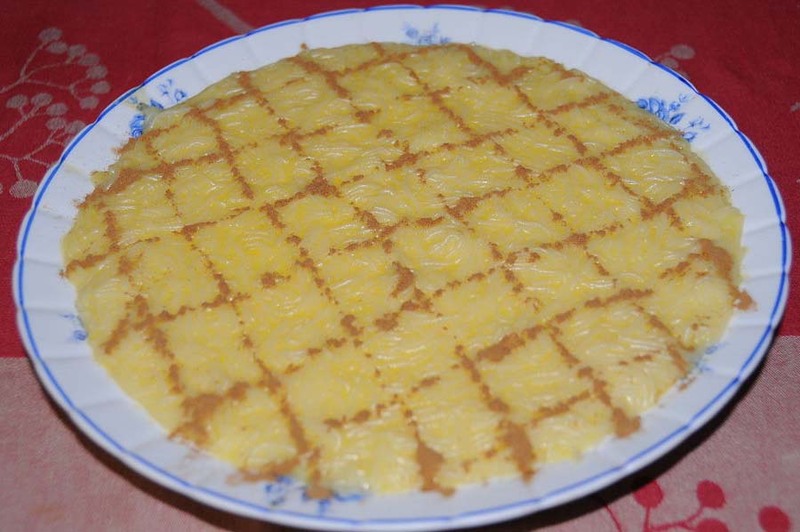 In the 1960s, there were three desserts to be found in every restaurant; pudim flan, an individual crème caramel made in a dariole mould, chocolate mousse and arroz doce. Now I've never cared much for rice pudding but I would often choose it if the decorative cinnamon pattern was nice and thick. Mostly, though, I would eat their scrumptious, feather-light, individual crème caramels. I really miss these today as they are rarely on offer. Instead you find pudim caseira, a big house crème caramel which always seems heavier and stodgier than the individual ones of old. Snacks though were pasteis de nata and a big milky coffee called a galão. See what memories flood in when a pastel de nata appears! In what unusual place did I recently see a pastel de nata? Try and guess. Just a hint; it was a long, long way from Belem. Come back and find out in the next post. What is your 'madeleine' or 'pastel de nata'? What memories does it bring back to you? Why not let us know?